A1 are able to manage large or small clearance jobs in your area and nearby. For a no-obligation quote or to find out more about how we can help you please call us today. We’re fully licensed to carry out house clearances in Crosby. Our customer reviews page features testimonials about our house clearance services. Today four of the staff from A1 Clearance came to clear my late relative's large property and garden. They were on time and worked like Trojans to get the job done. They even brushed the garage floor clean ! Steve and his staff are very personable, friendly and I can thoroughly recommend their attention to detail and service. Should you need to clear a late relative's house, with all the sad emotion that goes with it, then I highly recommend this company. Thank you. Super quick respone to my enquiry, I rang Steve on Monday, later the same day 2 of his nice lads who were in the area came and gave me a quote. They were able to complete the job the very next day. They were so efficient, and polite and nothing was too much trouble for them. I was extremely impressed with the high standard of service and I would highly recommend them. Steve and his team did a superb job in clearing my late fathers house. They were so fast and efficient and Steve was extremely helpful and flexible when arranging it all. I am moving house soon and will be using them again for sure. I would always recommend them. 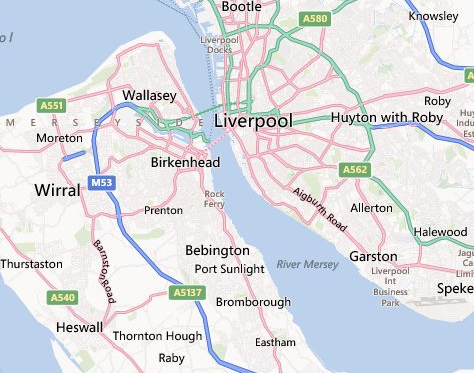 Areas include: Bagillt, Bebington, Beeston, Birkenhead, Bodelwyddan, Bromborough, Buckley, Caernarfon, Caldy, Capenhurst, Cheshire, Chester, Colwyn Bay, Connahs Quay, Conway, Conwy, Deeside, Denbigh, Dodleston, Drury, Ellesmere Port, Ewloe, Flint, Flintshire, Frodsham, Greasby, Great Sutton, Hawarden, Heswall, Holmes Chapel, Holywell, Hoylake, Knutsford, Llandudno, Lymm, Middlewich, Mold, Nantwich, Neston, North Wales, Northwich, North West, Oswestry, Overpool, Parkgate, Port Sunlight, Prenton, Prestatyn, Rhyl, Rockferry, Runcorn, Ruthin, Tarporley, Tarvin, Tattenhall, Tranmere, Wallasey, Warrington, Weaverham, Welshpool, West Kirby, Whitchurch, Widnes, Wilmslow, Winsford and Wirral. A1 Clearances (North West) Ltd.